The Guardian featured an essay by Robert Bruegmann in their Saturday edition. “Just as Britain led the world in producing sprawl, so it also has led the world in trying to combat it,” writes Bruegmann. 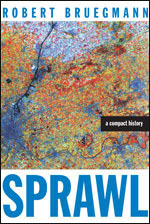 Sprawl has been a feature of London (and cities in general) for centuries, Bruegmann argues, and the conventional wisdom about the pernicious effects of sprawl is often wrong. See also our excerpt from the book. Bruegmann was also interviewed today in U.S. News and World Report. . . .
One of the most important books of our time? Why would anyone say this fifty-year-old book is “one of the most important books of our time,” as a customer recently described it on Amazon? 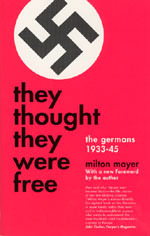 They Thought They Were Free: The Germans, 1933-45 by Milton Mayer has been bubbling through the online zeitgeist for a little while now—most recently it was passed around the social bookmarking sites del.icio.us, reddit, and stumbleupon. Ten years after World War II, Mayer went to Germany and spent a year interviewing ordinary Germans to try to understand how they came to accept—even embrace—fascism. Is there any similarity to our current situation, as liberals and libertarians like to claim by citing Mayer’s book? Decide for yourself. Start with an excerpt. . . . 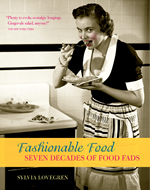 The Guardian (UK) recently praised Sylvia Lovegren’s Fashionable Food: Seven Decades of Food Fads. From the review: "The lowdown on every fad imaginable is here, within two covers. That they are mostly American is not a problem. What was good for the US was invariably a showstopper here too. Great recipes (if you can stomach them), grand stories. Amusing." Read an excerpt featuring eight recipes. . . . 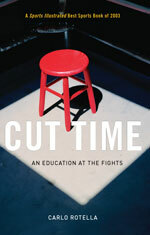 The sports section of the Daily Telegraph featured a review of Cut Time: An Education at the Fights, Carlo Rotella’s acclaimed book on boxing. From the review by Andrew Baker: “Rotella’s guiding philosophy is honesty, both with the fighters he encounters and with his own reactions to what he sees. And, unusually among American academics, he practises a beautifully pared-down prose style, with little pretention and none of the hyperbole that afflicts so many boxing writers. He may lack the wit of A J Liebling, say, but his insight more than makes up for it.” You can judge Rotella’s prose style and wit in this excerpt. . . .
A piece by John Noble Wilford in the New York Times is occasioned by the anniversaries of the destruction of the space shuttles Challenger (twenty years ago on January 28, 1986) and Columbia (three years ago on February 1, 2003) and the fire that killed three Apollo astronauts (thirty-nine years ago on January 27, 1967). 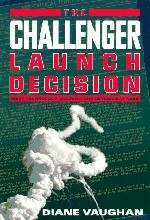 Ten years ago we published The Challenger Launch Decision: Risky Technology, Culture, and Deviance at NASA by Diane Vaughan which put forth the view—now widely accepted—that the Challenger accident was not the result of bad engineeering but of a management culture that normalized deviance: that flew missions even when presented with evidence of serious problems. The Columbia accident showed how difficult it is to change the patterns of organizational life. Another author brought a different sensibility to the shuttle; you can read Howard Nemerov’s two poems on the space shuttle. . . .
"The romance, the misery and the music of migration are all captured in William Howland Kenney’s Jazz on the River, a book that narrates a history that couldn’t be captured merely by doting on scratchy records, tattered scores and old reviews. It was commonly known that jazz was born in New Orleans and made its way up the Mississippi, but until Kenney no one had investigated the makers of the boats and the conditions of the musicians who worked on them. And no study before this one ever charted that northern migration so that we can appreciate the artists and how their musical communities were formed, giving us new ways to appreciate the Pittsburgh of Billy Strayhorn, Art Blakey, and Mary Lou Williams, the St. Louis of Miles Davis…. ntil Kenney’s book we never got to feel what…the riverboat gig was actually like. What we get in this book, with lucid prose and meticulous research, is a geographical and cultural context for the figures who would eventually become canonical, providing a vital new backdrop for music and anecdotes that had seemed well trodden…. As for actually placing jazz in its historical and cultural context in America, Kenney is among the . . . The Chicago Sun-Times reports that Lawrence Weschler has been named the first artistic director of the Chicago Humanities Festival. 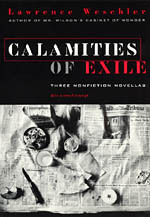 The University of Chicago Press has published and reprinted a number of Weschler’s books over the past few years, including A Miracle, A Universe: Settling Accounts with Torturers, Boggs: A Comedy of Values, and Calamities of Exile: Three Nonfiction Novellas. 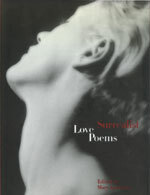 In March we will bring back into print Weschler’s A Wanderer in the Perfect City: Selected Passion Pieces. . . .
Love poetry includes, yes, descriptions of the beloved. And images of a fantastic idyll complete with falling stars, the sound of the sea, and beautiful countryside. In the hands of Surrealists, though, love poetry also includes gravediggers and murderers, dice and garbage, snakeskin purses and "the drunken kisses of cyclones." Surrealism, the movement founded in the 1920s on the ashes of Dada’s nihilism, embraced absurdity, contradiction, and, to a supreme extent, passion and desire.… Read the press release. Read three poems from the book. . . .
Charles Harrison is one of the world’s most renowned teachers and theorists of modern art. In this, his latest work, he brings his finely tuned eye, encyclopedic knowledge, and keen philosophical intelligence to a fundamental question in the history of art: is there a relationship between the representation of women and the modernist project? Harrison’s answer is an emphatic yes…. Read the press release. . . .
Press release: Luigi Pirandello, Shoot! Before Jean-Luc Godard, Ingmar Bergman, and Michelangelo Antonini—as well as contemporary auteurs such as Quentin Tarantino and Paul Thomas Anderson—there was Luigi Pirandello (1867-1936). The Nobel Prize-winning Sicilian writer recognized and explored, long before art cinema of the 1960s, the permeable boundary between reality and illusion. As the Wall Street Journal put it on the centennial of his birth, Pirandello "was one of the first moderns to insist that the theater itself is an art form, something to be reshaped according to the requirements of the twentieth-century imagination." And reshape it he did…. Read the press release. . . .